Basic advertiser rates from $99 to $275 - depending on your business type and number of adverts. This site receives 10 000+ unique visitors monthly - 25 000 when it snows. Additional categories is required, cost is $55 per year for each additional advert. Payable direct to WarburtonInfo.com. This cost effective system ensures all businesses have equal access to additional promotion and are able to activate adverts for additional products or services offered. This system has been in place since 2010. In all categories, businesses are displayed alphabetically - except for businesses or properties at the top who have upgraded to double column width top of page status. 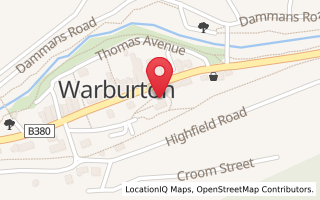 This is an optional extra $165 per year paid direct to WarburtonInfo.com and offers proactive businesses a way to enhance visibility and promotion. Special event promotion is $60 per month or annual advertising. Contact Paul 0409 004 770 about event promotion. All enquiries for promotional, event or business upgrades are welcome.